Even if you've never read the manga or seen the anime, XSEED's new RPG crossover looks like a good time. Here's why. There's a pretty good chance that you haven't heard of PopoloCrois up until now. A mainstay in manga and anime for nearly 40 years in Japan, it remains largely unknown in the U.S. XSEED localizer Tom Lipschultz would like to change that with Return to PopoloCrois: A Story of Seasons Fairytale, though, which as the name implies is a mash-up of Yosuke Tamori's universe and Marvelous's farming simulator. Lipschultz, who is in charge of localizing the project, might be the biggest fan of PoploCrois in the U.S. In writing about it for XSEED's blog back in June, he described the opportunity to localize a game based on the series as a dream come true. "Some of you are probably raising an eyebrow at that...," he wrote, "but those of you who've known me for a long time, be it in person or online, know that I'm dead serious. Actually being able to associate my name with something PopoloCrois is both an honor and a privilege, as PopoloCrois quite literally changed my life and made me who I am today - no joke!" To my regret, I didn't get a chance to find out how it changed Lipschultz's life for the better. Most of my attention was centered on learning about the series itself. Still, Lipschultz did a pretty good job of selling me on PopoloCrois, even going so far as to bring in his personal copy of the manga to share with journalists. As Lipschultz describes it, the main source of PopoloCrois's appeal is in its fairy tale-like simplicity. Conceived in the 1970s by Yosuke Tamori, it was originally the story of a prince named Pietro Pakapuka and his journey to save his mother's soul from the underworld. It has since grown to encompass several spinoffs and adaptations, having been made into an anime in 1998. Few of those stories have made it to America, though, the exception being a PSP game notable for its long load times. PopoloCrois's art and storytelling emphasize a certain adorable charm, putting it perfectly in line with Harvest Moon, and to a lesser extent, Dragon Quest. It's a style that has unfortunately been a tough sell in the U.S., which tends to favor a harder-edged approach to anime. But it's a look that's timeless. Not surprisingly, it has flown under the radar since being announced here in the U.S. Apart from being decidedly retro - its linear leveling and set skills remind me a little of Final Fantasy IV - it doesn't enjoy anything even resembling the name recognition it has in Japan. That doesn't mean it should be dismissed out of hand, though. I was drawn to PopoloCrois in part by its art. I'm a sucker for whimsy, especially when it's in anime form. 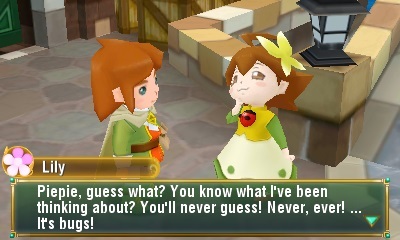 But I also like its connections to Story of Seasons, which is to say that its equal parts farming and roleplaying. Farming is a new twist for the series, mating the tried and true mechanics of Harvest Moon with the style of a 16-bit RPG. Fans will note that this approach has already been taken by Rune Factory, but I feel like it's a bit different. In my mind, Rune Factory is meant to be farming with a side of adventuring, while Return to PopoloCrois: Story of Seasons is the opposite - an RPG with a few additional farming elements mixed in. 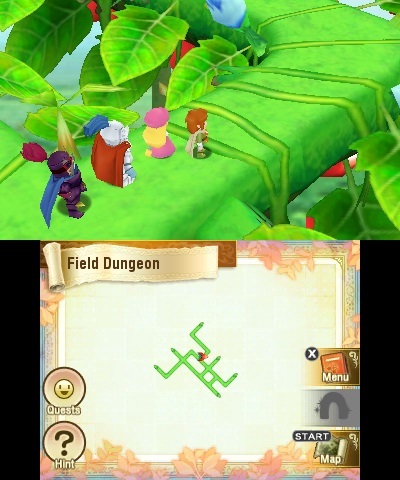 In classic JRPG style, PopoloCrois proceeds on a fairly linear path, with the farming serving as a kind of sidequest. Whenever you want, you can fast travel to one of the several farms that you acquire throughout the course of the game and till the land, tend to your animals, and make friends with the local villagers. You can ignore this element without penalty (well, your animals won't like you anymore, but they won't die of hunger or anything); but as usual, there are benefits to embracing your pastoral side. 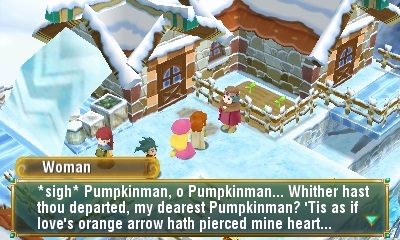 As you might expect, crops form the heart of PopoloCrois's economy. You can sell them, give them to people in town, or merge them to craft special items. Alas, you can't date any people in town since the main character is already in a canon relationship, but you can become friends with them and they'll give you helpful buffs. In the meantime, you can buy souvenirs from your journeys and use them to decorate Pietro's farmhouse. All told, it seems to be rather nicely integrated into the overall tapestry of the game without being obtrusive or annoying. I'm not going to tell you that Return to PopoloCrois is a deep and intriguing RPG. In fact, I'm pretty sure that it strives to be the opposite. It's a handheld RPG that is decidedly old-school, its deepest feature being the ability to unlock combo attacks by putting two characters into the same party. There is little to no customization outside of the ability to equip new gear, and the game seems sort of fine with that. Like Dragon Quest, its focus is less on min-maxing your character's skills and more on high adventure. In that respect, it appears to be a competently executed retro RPG elevated by its entertaining art and what appears to be a successful crossover with Story of Seasons. Time will tell whether it manages to truly distinguish itself from Rune Factory, but I like its focus on questing over farming, which makes it feel like a more focused experience. Its main challenge will be attracting Americans who won't recognize the world and are confused and turned off by the odd name and the retro gameplay. But within XSEED, at least, PopoloCrois has at least one very vocal booster. And you know, after what I've played, I have to say that I'm with him. I may never read the manga, but this looks like a fun little RPG all the same. Tagged with popolocrois,	Previews,	Story of Seasons,	xseed.